Minuscule PA system with wireless mic. 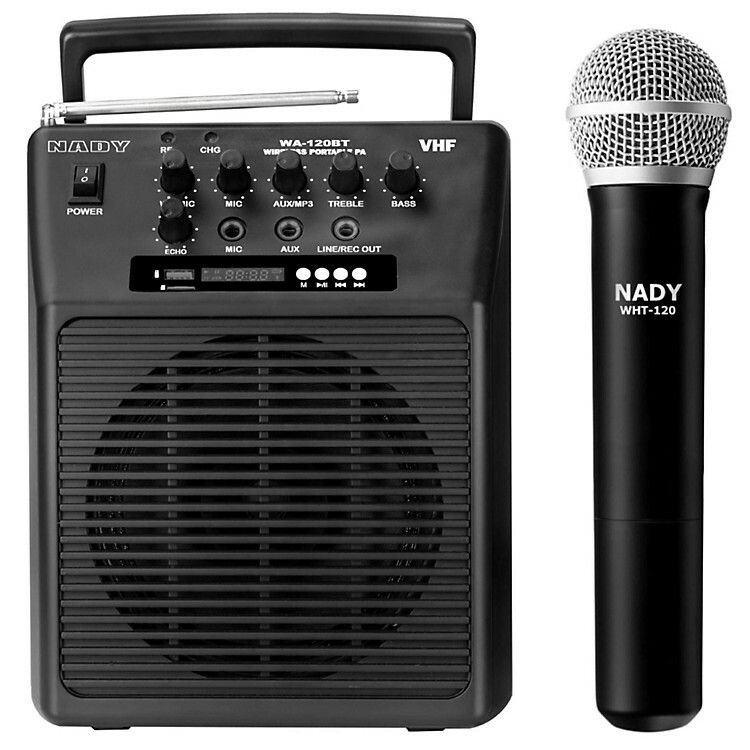 One of the most affordable and compact of Nady’s popular line of wireless PA’s. Ideal for many varied applications including classrooms, conference/meeting rooms, churches, health clubs and small auditoriums. Powerful, lightweight and easily portable. Full -range speaker system with built-in amplifier, mixer and high-band VHF wireless receiver. Available with choice of handheld mic or lavalier/headset mic bodypack transmitter. Available with choice of WHT handheld mic or WLT lavalier/headset mic bodypack transmitters. Order today and have elevated voice volume for your event.